ThermiSmooth treatments improve the appearance of aging, sagging or wrinkled skin through stimulating collagen and tightening skin. ThermiSmooth is especially designed to target delicate areas, such as around the eyes and around the mouth, without compromising effectiveness. Since ThermiSmooth is a quick, comfortable non-invasive treatment with zero downtime, it is a perfect “lunch-time” procedure to smooth out problems areas and immediately resume regular activities. During your initial consultation, Dr. Marina Buckley will assess the treatment areas and discuss your aesthetic goals and expected results from a ThermiSmooth treatment. Your medical history will also be reviewed, as certain conditions may exclude one’s candidacy. Schedule your consultation today to find out whether you are a good candidate for a ThermiSmooth treatment! After your assessment, Dr. Marina Buckley will provide you a personalized treatment plan to achieve your optimal results. 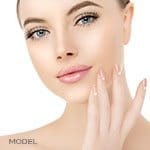 Since a ThermiSmooth treatment can be done in approximately 20-30 minutes, you may choose to have the ThermiSmooth treatment immediately after your consultation. During your ThermiSmooth treatment, Dr. Marina Buckley will heat the surface of your skin using targeted radiofrequency energy. This will stimulate your skin’s collagen production, which smooths out wrinkles and fine lines. When your skin’s collagen reaches around 104ºF, it reacts by shrinking. This shrinking effect is what causes the skin to naturally tighten, smoothing skin and reducing the appearance of wrinkles. At the same time, your skin’s natural inflammatory response to the heat is to produce new collagen, furthering the beneficial effects of the treatment. Most patients describe the ThermiSmooth treatment as a gentle, warm massage because the specially designed thermal-regulated hand piece that is used to treat the delicate areas around the eyes and mouth constantly senses and adjusts RF energy levels to provide you the most comfortable effective treatment. After the ThermiSmooth treatment, you may resume normal activities and even apply makeup as usual. Very rarely, some patients may experience minor swelling and slight pinkness on the treatment area that should dissipate within a few minutes. As time goes on and your skin’s collagen fibers heal and strengthen, the results become more and more apparent. Significantly Reduce Wrinkles and Tighten Skin After First Treatment! ThermiSmooth is a safe and comfortable anti-aging treatment that can be performed during your lunch break. Results can be noticed instantly and will continue to improve. Call today to schedule your consultation: +1 (570) 296-4000. The collagen under the skin will shrink when sustained heat is applied to it above 104ºF. This initiates a process where the skin begins to tighten and the effects of aging are reduced. The ThermiSmooth hand piece delivers this heat in a controlled manner to maximize patient comfort without compromising the effectiveness of the ThermiSmooth treatment. ThermiSmooth can treat many different areas of the face and is especially suited for the eyelids, under the eyes and around the mouth. Treatments with ThermiSmooth may be repeated multiple times to achieve optimal results. The exact number of treatments will vary because they are dependent on various factors, including skin condition and desired cosmetic results. During your consultation, a treatment protocol is personalized based on your assessment with Dr. Marina Buckley. 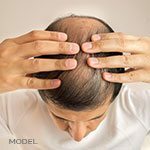 What Happens During a ThermiSmooth Treatment? A small amount of gel is first applied to the skin’s surface on the treatment area. A specific target temperature is set on the special hand piece and it is gently moved in a sweeping or circular pattern on the targeted areas. The temperature of the device is continuously adjusted based on feedback from the patient’s skin. Most patients will see some results after the first treatment. Multiple treatments may be necessary to reach optimal results. Results will continue to develop over the next 3 to 6 months.